Investing in space related stocks is a space industry equities hedge; many targeted companies are also heavily involved in aerospace, making and operating satellites, robotics, artificial intelligence, data, communications, and manufacturing space-hardened equipment. Space as an investing sector was built on aerospace, and now space companies are making progress with business models, products and services that are far apart from traditional aerospace. 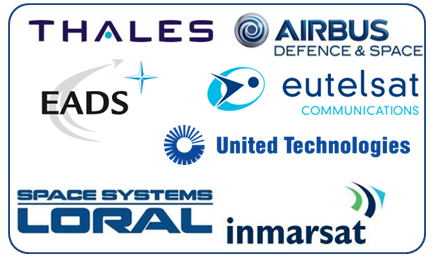 However, in order to mitigate risk, our Space Stocks Portfolio is designed to evolve from aerospace (meaning aerospace companies with a large space business unit) to a pure space companies as more of them are listed. Demand for shares in tradeable space companies has risen thanks to the expectations of a SpaceX IPO. As with any stock, research is the key; space is an emerging market, yet we have the cycles of previous emerging markets and alternative asset classes to benchmark on. Interested? Fill in the form below, or Contact us directly. Satellites; Makers, Owners and Operators. Satellite communications is infrastructure. Many of these public companies are traded and analysed by reliable independent brokers, e.g. from investment banks. Large Aerospace Companies; where the market capitalization is over US$500m. Risk analysis is easier thanks to independent analyst reports. Small-Medium Aerospace Companies; where the market capitalization is under US$500m. Space Technology; companies that are part of the space industry providing up and downstream components and services, and are integrated with nations� space programs. Space 2.0; Companies, that are actively developing space-related products and services in the areas of Downstream Satellite Data, Robotic applications in space, and Energy applications (e.g. capture, storage) in space. Space Company IPOs: When would SpaceX IPO, and can Amazon, Google or Facebook spin-off their new space ventures via IPOs? What new small companies will IPO to unlock new capital sources? External Research; Investment Banks and Funds release research on space related equities as part of their ongoing coverage. Morgan Stanley recently listed their idea of 20 space stocks that will lead to a trillion dollar market. Various Aerospace / Tech / Space stocks create a risk-averse and technologically balanced space portfolio. Large Market Cap Aerospace companies offer a balance to risk. Technology for space comes up from aerospace, but also filters down to everyday commercial use. Companies that are upstream in terms of technology development, and can profit from downstream uses of their technology into B2C, B2B, NGPO and B2G markets, are of high value. Valuations: What is the market potential of niche products and niche markets like Orbital Space Tourism, Micro-Satellites, Global Broadband, and who is in the position to be number one in their respective field? Risk Analysis: As space is a new frontier fraught with risk, risk management will have to be altered to different types of space use. Larger space related stocks are now at a point of low volatility: Satellite launches are more successful, technology is more reliable, and the risk profiling easier thanks to a decent run of previous and reliable data. The Macro environment: What is the impact of external factors, like geo-political and adverse financial events? Since 2009, Space Ventures Investors has monitored selected space related stocks. The goal is all about minimising risk in space investing. We actively monitor 50+ space stocks to include in our portfolio of space investments. Our research includes analysing which aerospace and space companies are active in keeping up with the latest space race. Listed below are some of the largest space related companies. Below are a selection of Space Pure-Play, or Space Upstream Stocks � without their infrastructure up there in orbit and in place on the ground, many industries on earth would cease to function. Inmarsat was founded in 1979 and is the owner and operator of a global satellite network. Thanks to this satellite fleet, it can offer mobile and fixed communications services for maritime, enterprises, governments and aviation industry clients. Vital to Imarsat�s operations are satellites, from there all else follows; government contracts, space based communication infrastructure, and room to grow. Inmarsat is Space Pure-Play stock, and although stocks rise and fall due to many conflicting parameters, it is a well known space company to watch. Founded in 1977, a French satellite provider, offering coverage across Europe, the Middle East, Africa, India and major swathes of Asia and the Americas. Eutelsat has 39 satellites located in geosynchronous orbit. In terms of revenue, Eutelsat, is one of the world's three leading satellite operators. Eutelsat�s coverage includes broadcasting to over five and half thousand television stations, over one thousand radio stations, reaching a quarter of a billion cable and satellite enabled homes. That is, probably one in twenty of everyone on earth. It also services corporate networks, mobile communications, Internet connectivity and broadband access for terrestrial, maritime and in-flight applications. Eutelsat is Space Pure-Play stock, and while the business is driven by television broadcast, there are other avenues for revenue. Loral currently operates a satellite manufacturing company Space Systems/Loral and has an investment in Telesat Canada in partnership with the Public Pension Investment Board of Canada. Loral also participates in various international and domestic joint ventures, including an ownership stake in XTAR, which is a commercial satellite operator providing services in X band frequency range; the communications preferred by the military, diplomat communications, plus humanitarian and emergency disaster response operations. Reading through Loral�s corporate history you�ll find a bit of suspense and volatility, yet it is involved in space and offers a hedge in the space sector. Intelsat has more than 50 satellites covering most of Earth�s populated areas. Intelsat launched its first satellite in 1965 and through the decades has grown, privatised and publicly listed, and established a long lasting truly global presence. It�s most important spacecraft supplier is Space Systems/Loral (over thirty spacecraft) and in 2012 Intelsat signed a contract with Space Exploration technologies Corporation for the first Falcon Heavy launch vehicle. Intelsat is based in Luxembourg and has offices in the U.S.A.
Intelsat is an ideal Space Pure-Play Stock, very up- and mid-stream, and represents a solid space company that has been in the space business for half a century. 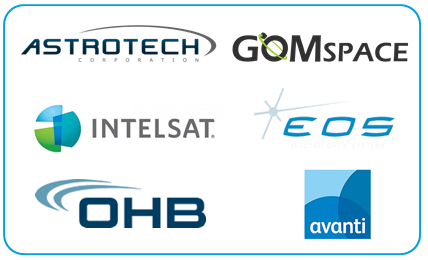 OHB System AG is one of three leading space companies in Europe, and is part of the listed high-tech group OHB SE. OHB�s 2,000 specialists and executives work on key European space programs and it has more than three decades of experience in high-tech solutions for space, science and industry. Recent Space IPOs includes two satellite foucussed companies GOM Space and Kleos. China SpaceSat Co is not the most transparent but does offer access to investing in the Chinese Space Industry. DigitalGlobe provides geospatial information products and services for defense, intelligence, security, mapping, environmental monitoring, energy explorers, and infrastructure management. It has a constellation of high-resolution satellites, and uses third party satellite and aerial imagery. End Note: We are looking forward to, but not expecing, a SpaceX IPO, although this would in many ways see how investing in space exploration is rated by private investors and the large brokerages. SpaceX is a private company and will remain so until it is probably launching regular missions. Not surprisingly, there are many broad space stocks (see the links below) that focus on companies that are more Aerospace then just Space. Our goal at Space Ventures Investors is to find the pure-space stocks. Investors.com � Cheaper launches and satellites make the final frontier more accessible than ever thanks to tech billionaires.